Metro Health: University of Michigan Health is an integrated healthcare system with a regional 208-bed hospital and 25 clinics serving Western Michigan. It includes nationally recognized heart and vascular services, inpatient and outpatient specialty services, a cancer center, and a wellness education program. In 2016, Hospitals & Health Networks named Metro Health one of the nation's most wired hospitals for the seventh consecutive year. 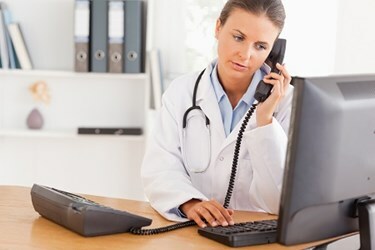 Metro Health's motto is "expert care, made easy," which the IT staff adopted for its approach to information technology. In an effort to provide higher quality and consistency of care across its network, Metro Health implemented an electronic health records system from Epic to provide EHR access from the hospital, neighborhood outpatient centers, and participating physicians. While Metro Health had successfully rolled out Epic, they began to identify workflows which could be streamlined to optimize the full investment of their EHR solution. First, the mobility of clinicians proved to be a challenge. With physicians and nurses moving across campus and between locations, the need to constantly log in to the Epic EHR solution was interrupting clinical workflows and detracting from patient care.